Groundbreaking 100W LED transformer for super-easy installation and control. Single 15V output to simplify LED installations. 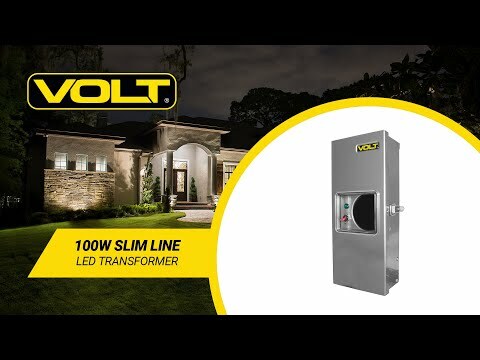 To make this transformer slimmer, lighter, and simpler-to-install, we eliminated unnecessary voltage taps. Instead of having to choose among 12V, 13V, 14V, you use the single 15V tap. That's all you need for any small to medium-sized (up to 100W) VOLT LED system. With the new Slim Line Transformer, there is no need to worry about voltage loss.